Chandrababu, who is on tour in Singapore, aimed at attracting investments from various companies to AP, for this he discussed with various companies.Tata Sons is coming forward to promote Smart City design .. Former British Prime Minister Tony Blair praises AP Vision.AP CM Chandrababu busy busy in Singapore for a one day tour.Babu met many industrial and political figures, who went to the Hindustan Mint Asian Leadership Summit.He explained the development of the AP and Vision, invited to come forward to invest.Tata's board chairman Natarajan Chandrasekaran said "We are ready to come to Andhra Pradesh in many aspects not only in the IT industry" . 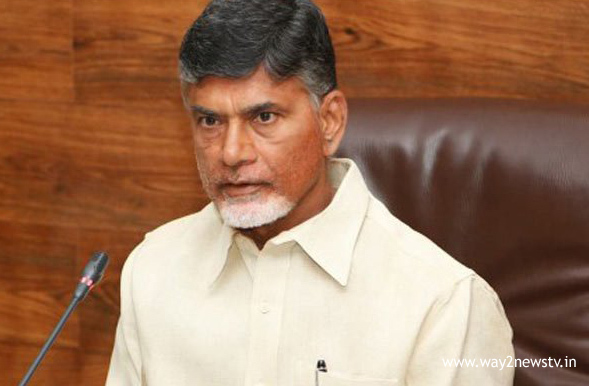 Chief Minister Chandrababu met Natarajan on Singapore tour.In this regard, the Chief Minister said that the TCS activities should be taken up in the AP. Natarajan, who responded positively to it, is ready to come to the AP. Natarajan was also interested in investing in the hospitality sector. Tata Sons was also in the process of collaborating with Smart City designs. Natarajan expressed his keen interest in arriving at Amravati. Amravati is said to be ready to continue operations in the center. Natarajan told CM Chandrababu to discuss issues such as hotels, smart cities and transportation in the next 3 weeks. Gopinath Pillai, Singapore's Ambassador to Singapore, Gopinath Pillai invited CM Chandrababu to attend two important meetings in July and November. Chandrababu met with former British Prime Minister Tony Blair. Tony Blair told the CEO that there was a new state and the new state of development was going forward with no vision. Blair's interest in reforms introduced and implemented in AP education showed Blair's promise to Chandrababu to work with AP. Mr. Chandrababu invited Blair to visit AP.